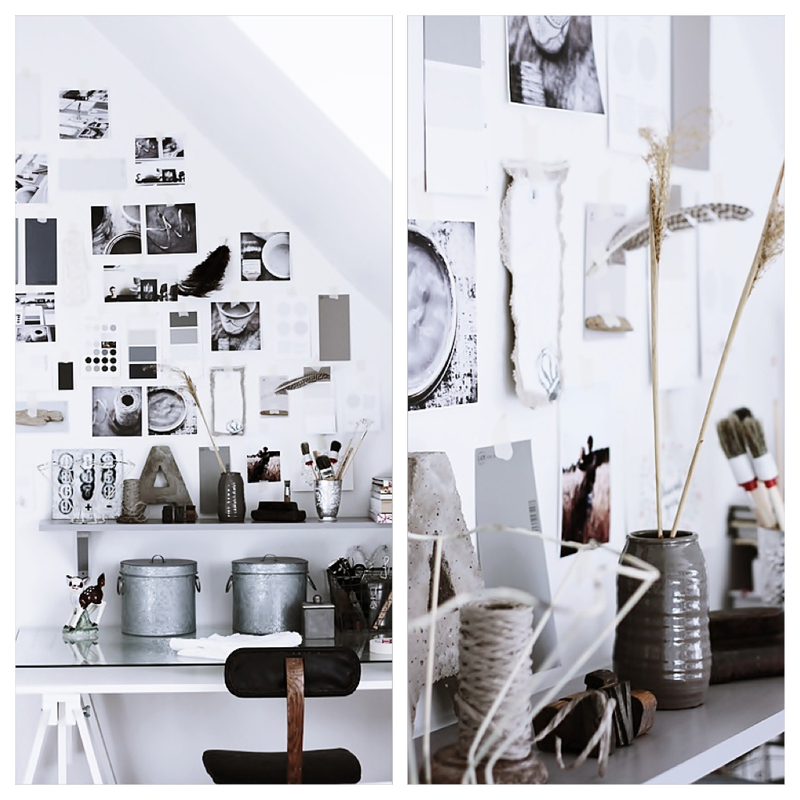 Today I want to share with you some lovely working spaces at home. 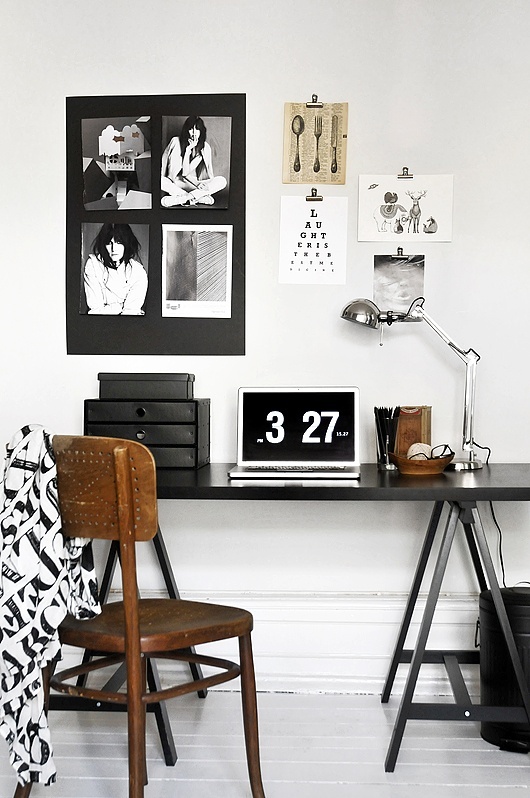 If you spend a lot of time working at home, it's important to have a nice and inspiring place. You don't need a seperate room, even a little lost corner can be transformed to a home office. 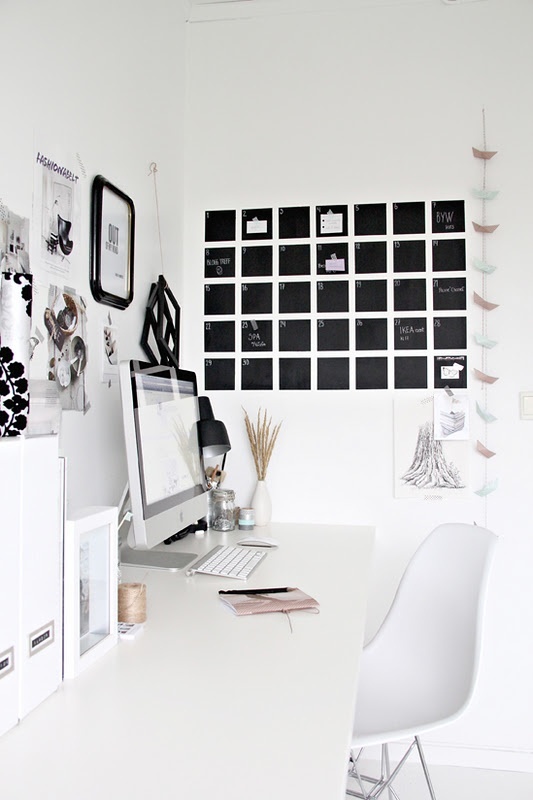 Decorate it with some nice office supplies and create a moodboard above your desk. Put your best pictures and images there to look at and I'm sure you'll have a very fine day working at home. 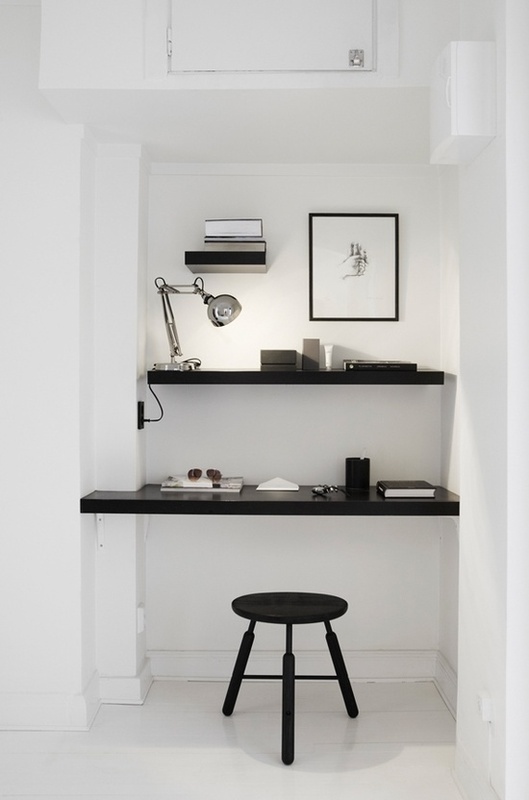 via La maison d'Anne G.